When it comes to hunting, people usually think of guns. But a hunting bow is also one of the weapons of choice. Hunting with a bow requires skill. 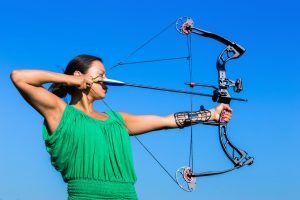 One big challenge to take on is learning how to use it with some level of proficiency because hunting using a bow is vastly different compared to using a rifle or a gun. You have to deal with a moderately high learning curve here. But when you have finally acquired the skill needed in order to master the weapon, your efforts will be worth it. Having an efficient hunting bow helps for sure. 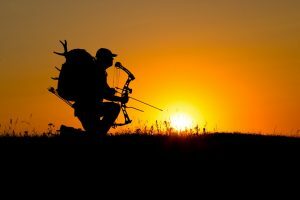 Here are some tips on choosing a hunting bow. The first factor you have to deal with is the kind of bow you will have to use. There are 3 kinds of bows that are mainly used in bow hunting. They are the compound bow, the recurve bow and the longbow. 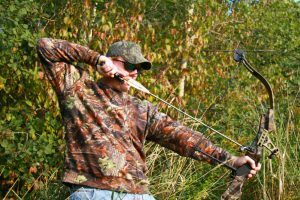 The compound bow is a top pick for many archers from beginners to seasoned individuals. The weapon is usually made up of composite, man-made materials like fiberglass and a type of metal plus carbon compound. It features a unique pulley which is called the cam and the cable system. This minimized the quantity of force required by the archer to carry the bow at a complete draw. This also provides hunters plenty of advantage in terms of merging precision of shots with such force and the length of time that they can constantly carry the bow at a full draw. The bow also has adjustable sight pins which can be arranged for a variety of distances which let the hunter line up a target fast throughout a selection of ranges. This kind of bow can be modified and set for varying weights to allow versatility. The longbow is also known as a straight bow in hunting and archery circles. They were first employed by humans thousands of years ago. It features a straightforward one-piece design and is the default bow and arrow that majority of people picture in their minds. It has limbs that arc backward moderately, however, they do not have lots of the add-ons that a compound bow includes. If you want plenty of challenges when it comes to bow hunting, you might be interested in this kind. This is not recommended for beginners though because it can be hard to use. Compared to a compound bow, using this one requires hunters to feel the draw and point. It is difficult to draw back due to the fact that it does not include a cam and cable setup. 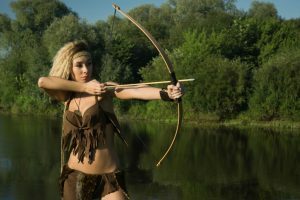 The recurve bow has the same looks as a longbow but they do have their differences. The disparities begin at the ends, which arc forward moderately. The forward arc of the recurve bow provides the weapon with lots of power compared to a longbow with the same measurement. Majority of recurve bows come in 3 components and the item is typically made up of fiberglass and wood laminates. It shoots quietly and it is also less susceptible to mechanical malfunctions compared to a compound bow. Like the longbow, its draw weight cannot be adjusted. 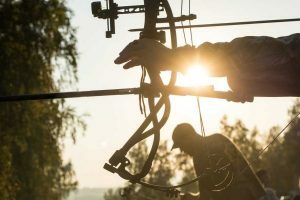 When choosing a hunting bow, what you are going to use and buy will be based on your preferences, to learn how to aim and draw and the time you are willing to take on for studying the sport. 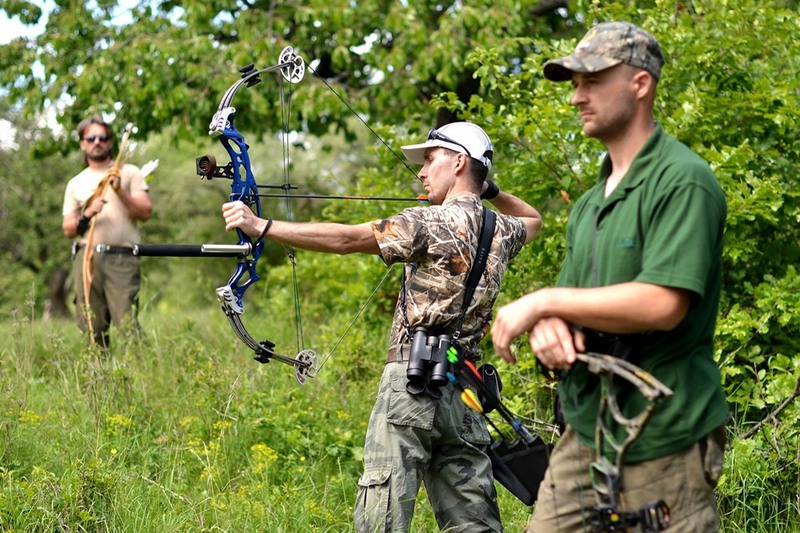 For beginners, a compound bow is highly suggested since it will provide users with better results in a faster manner. The skill one acquires by using a recurve bow or longbow will be based on the amount of time they are willing to invest in terms of practice. Accuracy and form can be had from constant training. High-quality longbows and recurve bows will set you back around $200-800 based on the design and make you select. Coupled with some accessories, expect to spend another hundred dollars. When it comes to compound bows, you can spend approximately $300 and the package will include items like the bow, quiver, arrow and sights. There are compound bows that can cost as much as a thousand dollars too. If you are on a budget, there are quality, reasonably-priced alternatives that are available as well. You can also go for secondhand gear, however, you have to be careful of the bow you will buy in this kind of market. You do not know whether the item was maintained and treated properly and meticulously. You will not have any idea if the bow displays breaks and cracks. It is more recommended that you spend on brand new items instead of wasting your money on suspicious secondhand equipment. When selecting a bow, the most crucial factor you have to take into consideration is the draw length. A bow that cannot be pulled at full draw is unserviceable. The draw length might also differ based on whether the hunter is making use of a release or their fingers. It is also essential to keep in mind the bow’s draw weight. An increase in the draw weight means an increase in the speed of the arrow as well. However, doing this will be at the expense of accuracy. It is suggested that you go over your area’s regulations since localities have a minimum when it comes to the draw weight required for hunting. You have decided on the bow and now it is time to check out the accessories for your weapon. There are lots of accessories on hand in the market but determining what item you need can be a bit of a challenge. Here are some suggestions. 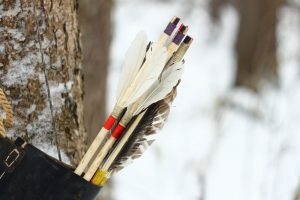 For beginners, you may need a quiver, a stabilizer, and a sight. If you want consistency, you can also purchase a kisser button. You have to select your arrows as well. Guarantee that the ones you choose have the appropriate size shaft for the bow. To ensure that it will give the right release, the arrows are evaluated in terms of the shaft’s diameter and wall thickness. You will know that arrows are made up of a variety of materials and fletchings. Some are into cedar shafts but arrows made from carbon are usually the most popular choice. Now that you are finished with choosing a hunting bow and want to venture into the wild for training and experience, you might want to take on other purchases for the sport like clothing. 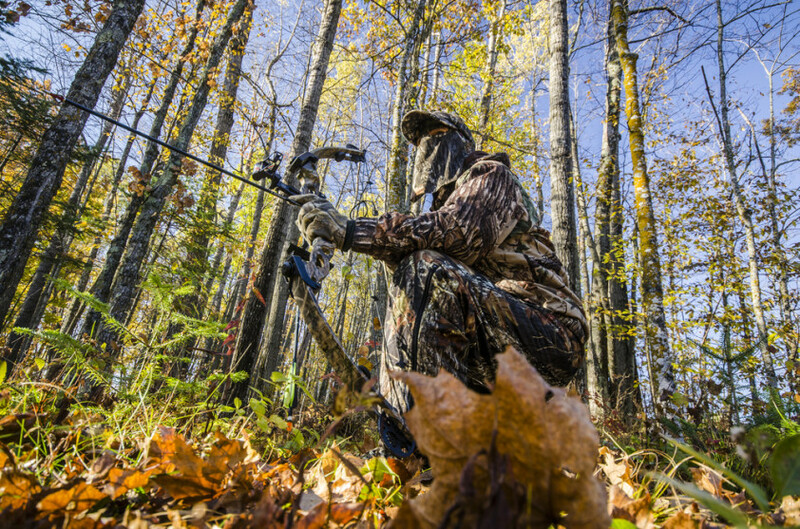 As you train your way to better skills, you will soon determine what appropriate hunting outfit will suit you best.